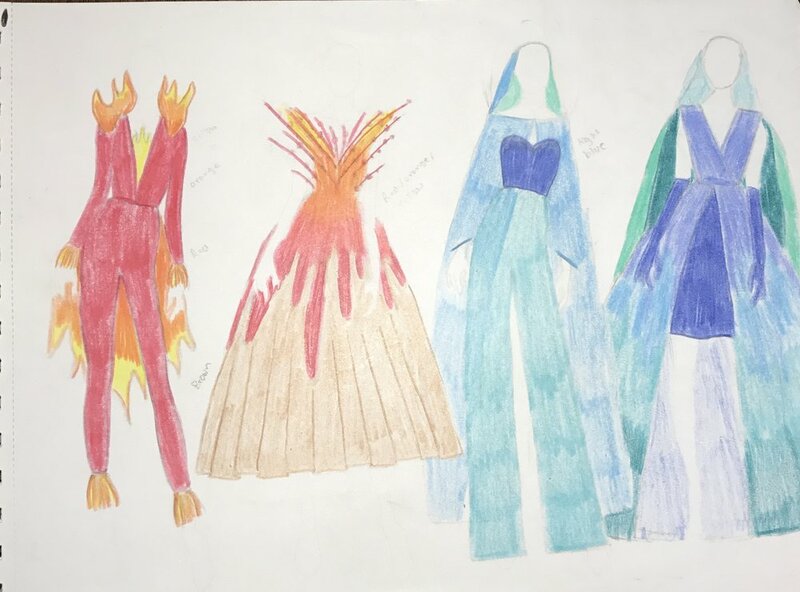 I am an aspiring designer who wants to not only become a fashion designer but be able to combine, fashion, nature, photography and art to be able to create something beautiful for the entire world to see. Our readers would love to get to know you more Ben. Tell us about yourself, what is unique about you? Ben, what are your passion and aspiration in life? How did you start as a Designer? my aspiration is to be able to become not only one of the biggest names in fashion but be able to combine art, photography, nature and fashion into one beautiful work of art that I can share with the rest of the world! Who is your inspiration in life Ben? How do you keep inspired? I have multiple inspirations. My mom Lindsay, Lady Gaga, my High School show choir costumer Victoria, Sasha Velour and nature. We all make mistakes Ben, we wish we could take back. Please tell us about time being a Designer, you wish you’d handled a situation differently with a colleague. My regrets are sometimes going over my colleague's heads to accomplish something. I get so excited that I want to be able to complete tasks the way I see them in my head. Once I went over the head of a colleague when trying to decide the makeup for a show that we were doing. I had a certain image in my head and wanted to have the look of the makeup be the way that I envisioned. Ben, when you’re working with a large number of clients, it’s tricky to deliver excellent service to them all. As a Designer, how do you go about prioritising your clients’ needs? In the fall I will be attending business school at the University of Missouri where I plan on getting a degree in marketing. I will be able to use these skills from business school and my degree to help my clients and be able to deliver the service that my clients need. I will focus on the needs of the clients and be able to cater to whatever their wishes and desires may be. Please tell us, Ben , about a time you had to be very strategic to meet all your top priorities as a Designer? Daily I have to be able to strike a balance between my schoolwork, my designs and my job to give 100% to each thing I have going on in my daily life. Ben, please give us an example of a time when you were able to successfully persuade someone to see things your way at work. When sharing my designs with others, I sometimes receive a critique about the certain cut or style of design, but I can explain my work and show the reasoning behind why I chose to design a dress the way that I did and then win over the people who originally critiqued me. Ben, please tell us about your proudest professional accomplishment as a Designer. There might be many, but there is always this proudest moment that you just want to share with everyone. What is it and why? Ben, please give us an example of a time you were able to be creative with your work. What was exciting or difficult about it? When I design, I sometimes look at the world around me, and I create looks based on whatever I see around me. I have drawn designs based on the four elements (earth, wind, fire and water) or looks based off different types of cake. I love to be able to see something random and see the beauty in it and then go on a design something based on that thing. Just go for it! If this is something, you love and have a passion for you just need to go for it. My grandpa always told my dad "take something you love and try to make a career based around it" my dad then passed that wisdom onto me and that is exactly what I am trying to do! Yes! I would love to be able to work with a big name fashion designer to bring my designs to life and then one day be able to have them walk down the runway at a major fashion week show.